Public speaking expert Jacqui Harper analyses what makes a winning speech. Speeches are never easy but OSCAR night is especially hard. Four billion eyes around the world are watching. The clock counts down from 45 seconds as soon as you start speaking. Emotions naturally run high and the Dolby Theatre is teaming with Hollywood’s finest. Despite this a handful of speakers shone on the night. Lupita Nyong’o gave the best speech of the night. The winner of Best Supporting Actress excelled at being ‘in the moment’. She was highly emotional AND always in control. No one else really achieved that combination. She was clearly delighted and at times her voice was thick with emotion and faltered but she never lost it. She gave us the all-important powerful beginning: a twenty-four carat smile, composure and a one word reaction to winning – “Yes!” This was simple and highly effective. Her speech showed preparation. True, she’s won so many awards this season she’s had time to work on it. Her theme was joy and this pulled together disparate elements. These included saluting her character ‘Patsy’ from ‘12 Years A Slave’. She also thanked director Steve McQueen, other co-stars, her family and even Yale Acting School. She used language creatively and economically when she described the film crew as ‘invisible performers’ who made equally important contributions to the film. She ended powerfully with a universal message for the global audience about the validity of their dreams. She said a lot in a short time, was captivating and authentic. We’ll never forget the winner of Best Documentary. Darlene Love, the singer and actress, literally stole the show. She was one of the backup singers profiled in the documentary ’20 feet from Stardom’. Her acceptance speech was an unexpected and gutsy, show stopping song! The backup singer commanded the stage as she scattered volumes of her own stardust into the stellar audience – and they loved it. They thanked her with a rapturous standing ovation. Matthew McConaughey got many things right. He was gracious throughout and very much in control. The strength of the speech was its structure : he listed three points which he said were part of his daily ritual. He always found something to look up to, something to look forward to and someone to chase. The points were introduced then re-stated and developed. He explained how he challenged himself to become his own hero but it was a constantly moving feast that kept him hungry and always wanting to do better. 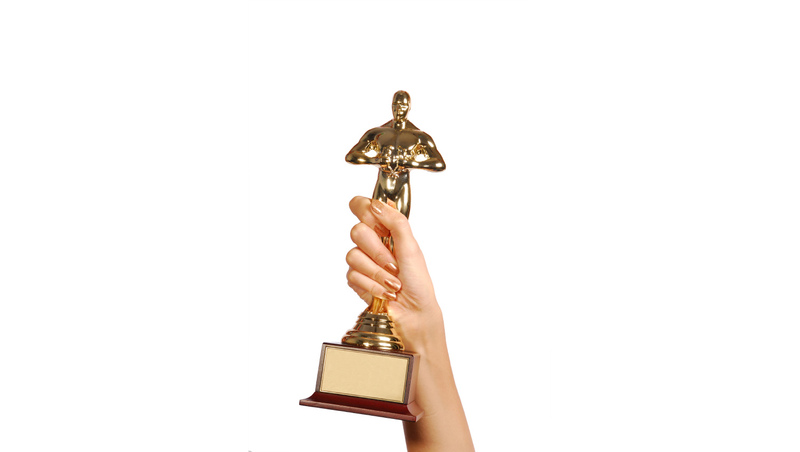 It is an achievement in itself to stay in control on Oscar night. He managed this with ease, poise and presence. If anything he lacked a touch of spontaneity. Generally, the team speeches featuring more than one winner were shambolic. The low point was the speech for Film Editing which went to ‘Gravity’. There were two speakers. The first took up all the time so when director Alfonso Cuarón attempted to speak he was drowned out by the orchestra. Ouch! Much better was the acceptance speech for Original Song. The winners were husband and wife, Robert Lopez and Kristin Anderson-Lopez. Their haunting song ‘Let It Go ‘was sung beautifully by Idina Menzel on the night. The spouses fizzed with energy and delight. They had prepared a script and read alternate sentences. The delivery was fast-paced and gloriously exuberant. At one point they too burst into song with ‘Happy Oscar to You’. That’s it for Oscar speeches for another year. Roll on 2015. Can Amy Cuddy’s new book on Presence live up to the global success of her TED Talk?